Discussion in 'Accessories, Cables, and Remotes' started by Martin Dew, May 29, 2018. With rafts of new technology and connected devices entering people's homes, Best Buy has announced that the Geek Squad will be rolling out a nationwide service known as 'Total Tech Support'. Up until this point, Geek Squad has been offering one-off services for helping customers with solutions for broken laptops, virus control or the installation of a new TV, for example. However, the new Total Tech Support service for $199.99 per year via subscription will encompass unlimited support by phone, online or in-store, and will include making available troubleshooting and fixing of computers, help with setting up home theaters and new home networks. Best Buy says that the program thus far has been operating a pilot scheme over the past year with 230,000 consumers at 60 stores, which subsequently expanded to include 200. Home visits by staff will still cost $50, but this will be a discounted rate in most cases, and the all-embracing service will also include discounts on repairs and extended warranties. The company claims that, “For the first time, customers can get help for all their technology and appliances, immediately and easily, no matter where or when they bought them." “This kind of service used to be available on single products only, but now essentially covers all of the electronics and appliances in your home,” said Trish Walker, president of Best Buy Services. Best Buy purportedly decided to expand its Geek Squad service after it started to see a shift in survey results suggesting that customers would need wider support offerings in light of the increasing number and complexity of home-use gadgets entering the marketplace. The company will also offer a free at-home consultation with an expert to get a sense of how to better use technology in their homes. Best Buy stresses that most customers will still feel they need to purchase warranties for each of their devices or gadgets in addition to an optional annual Total Tech Support subscription. Will any forum members here make use of such a service? Perhaps the average AV forum member is too tech savvy and not the target for Best Buy's new scheme? It would be great to hear your comments. There are more possible pitfalls in this one than I have time to mention. 1) Best Buy? Technical support? Even the Magnolia types have proven [on average] only moderately competent. 2) Pay Up Front? - So $200.00/year, even when everything works fine? When things don't work as expected, instead of getting the free support you deserve [initially] you're already locked into this horrible contract and have to accept whatever high school dropout you're connected to? Good luck. 3) Extras - If you need a home visit it costs more and there is a good chance the person who arrives at your home will not be able to solve the problem. 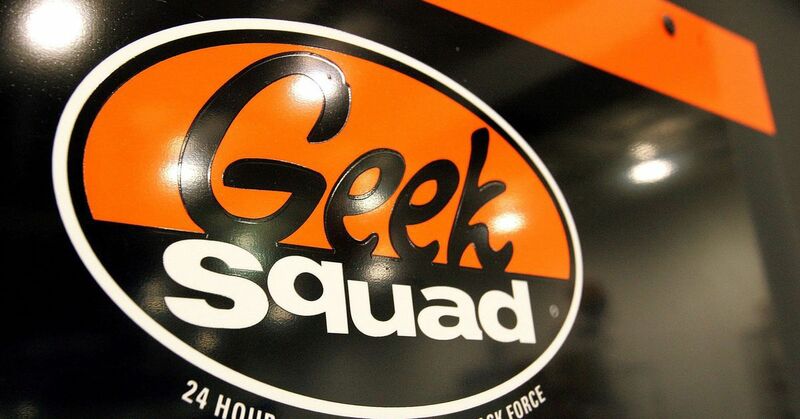 Has "Geek Squad" hired more certified techs to match their aspirations? Likely not. Martin. In this case I think you should have said "no." Martin Dew and bmasters9 like this. I'm only the messenger, John. I personally wouldn't let anyone from Best Buy anywhere near my house, quite apart from the fact that most manufacturers offer comprehensive Level 1 and Level 2 phone support during warranty periods. I suspect BB will draw in many unsuspecting consumers with this one, but I guess it's the kind of program that retailers feel they need to apply to make their businesses sustainable. John Dirk and bmasters9 like this. So basically, he's throwing good money after bad, I take it? You're right Martin and I apologize if I appeared to attack you. As a technical professional this sort of thing really irritates me. I've seen too many folks who simply don't know any better taken advantage of in this way. This happens across all industries. From the ridiculous "home warranties" to the equally useless extended automobile warranties. Dennis Miller called them "Fear Pimps" in one of his rants. I couldn't agree more.